411 Freebies And More: 2 Free Samples of Curamin Pain Relief - Limited Monthly Supply! 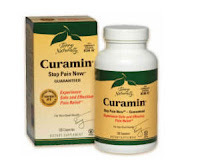 2 Free Samples of Curamin Pain Relief - Limited Monthly Supply! Curamin is giving away 2 FREE natural pain relief samples to visitors. Simply fill in the form on the following page to receive yours. NOTE:They have a limited number of samples to give away each month, so if you miss out this month try again next month.